Photograph of set for Act IV Scene 3 "On the Sea" from a production of The White Heather, written by Cecil Raleigh and Henry Hamilton, photograph by E. Gordon, Drury Lane, 1897. 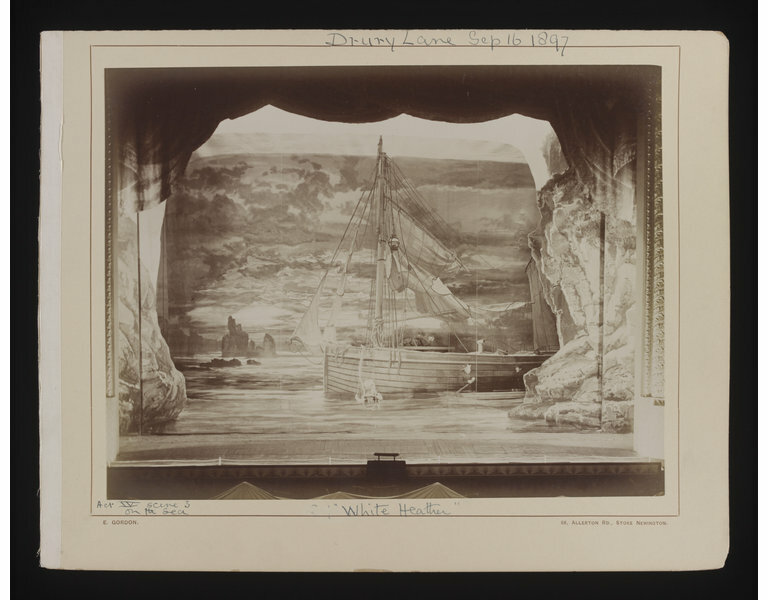 Photograph of set for Act IV Scene 3 "On the Sea" from a production of The White Heather, written by Cecil Raleigh and Henry Hamilton, photograph by E. Gordon, Drury Lane, 1897. 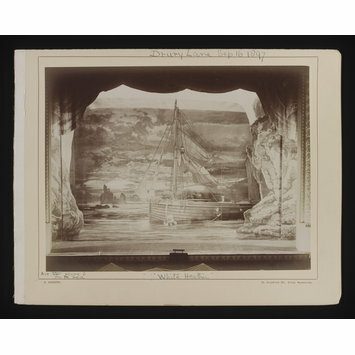 The photograph features a large sail boat at sea at centre stage with rock formations on either side.